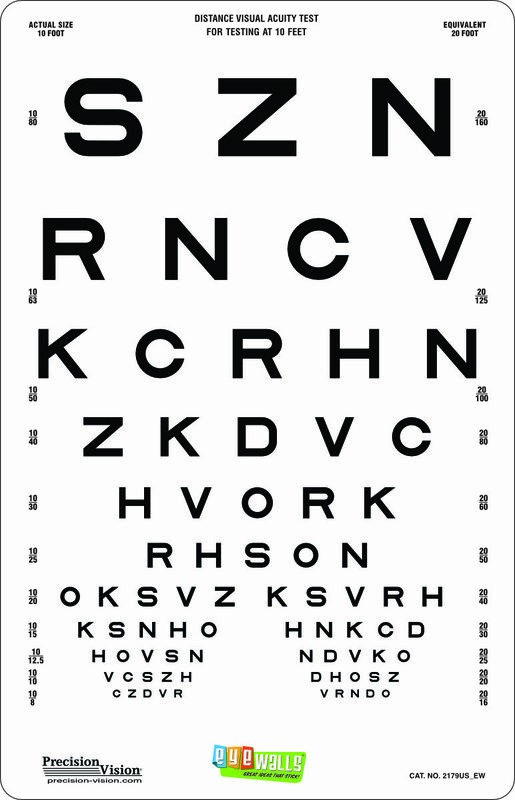 Two smaller groups 4.8M to 2.4M for repetitive eyesight testing (20/32, 6/9. 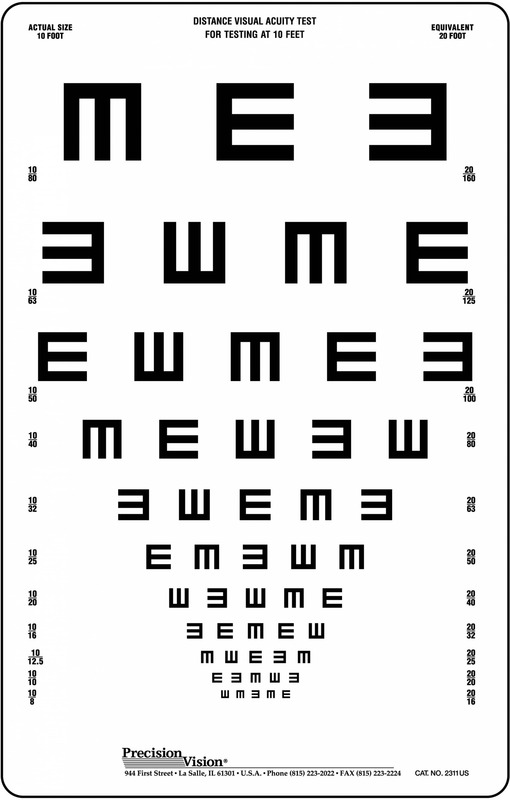 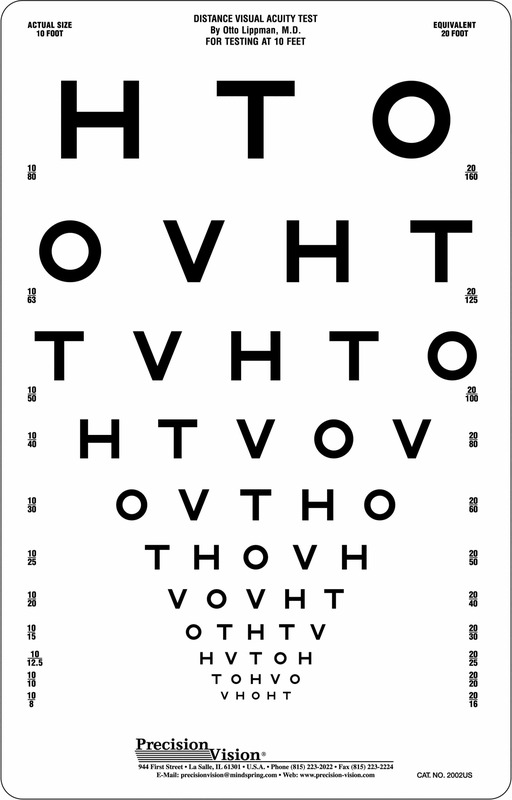 Two smaller groups 4.8M to 2.4M for repetitive eyesight testing (20/32, 6/9.5 to 20/16, 6/4.8 equiv.). 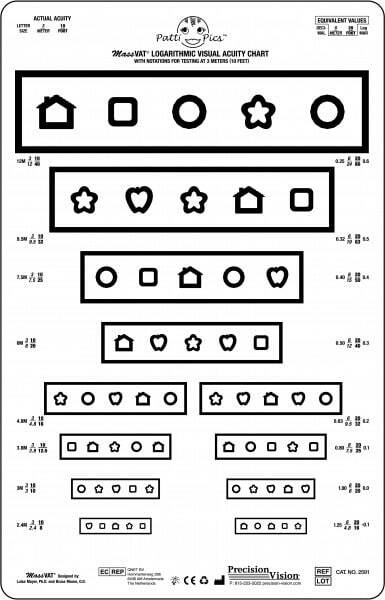 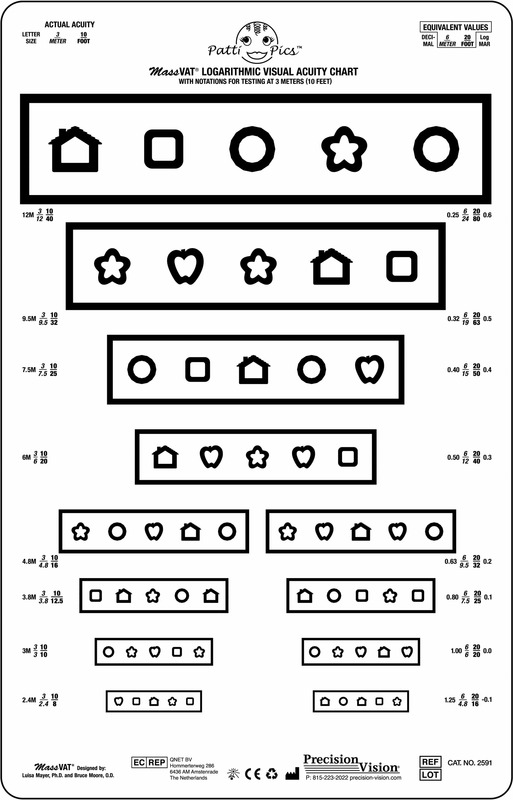 Patti Pics are stylized pictures designed by Precision Vision on the basis of the 5×5 Snellen grid, and calibrated for equal recognizability against Sloan letters. 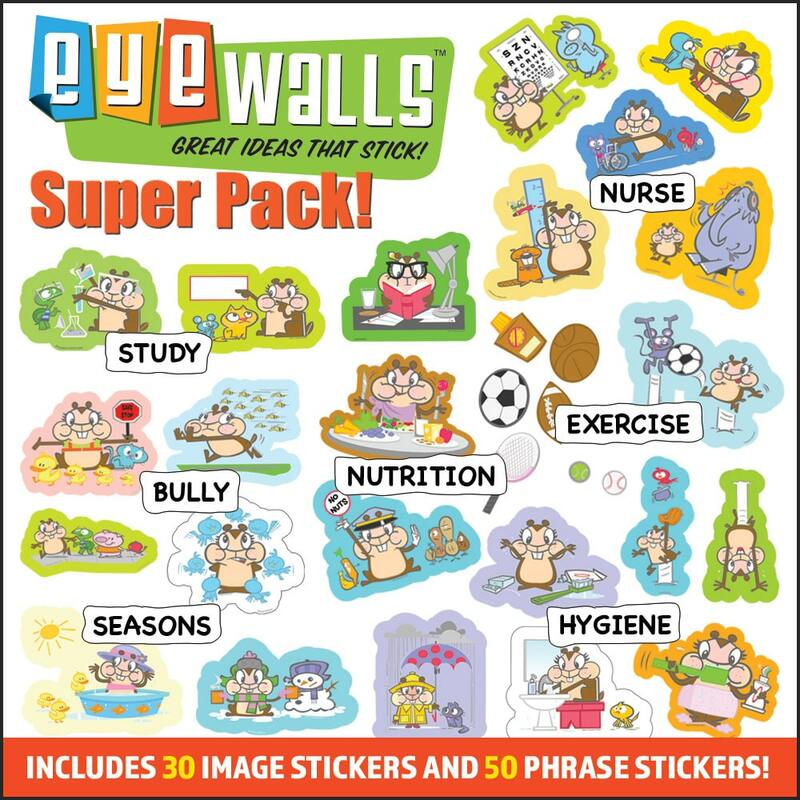 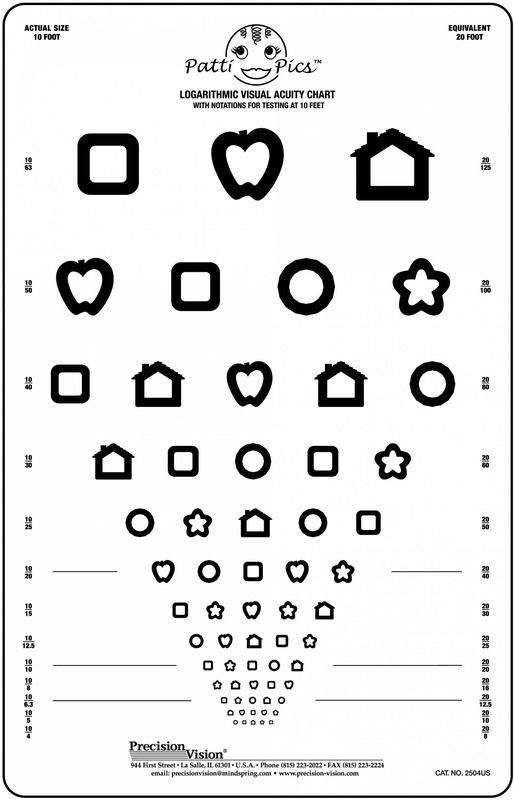 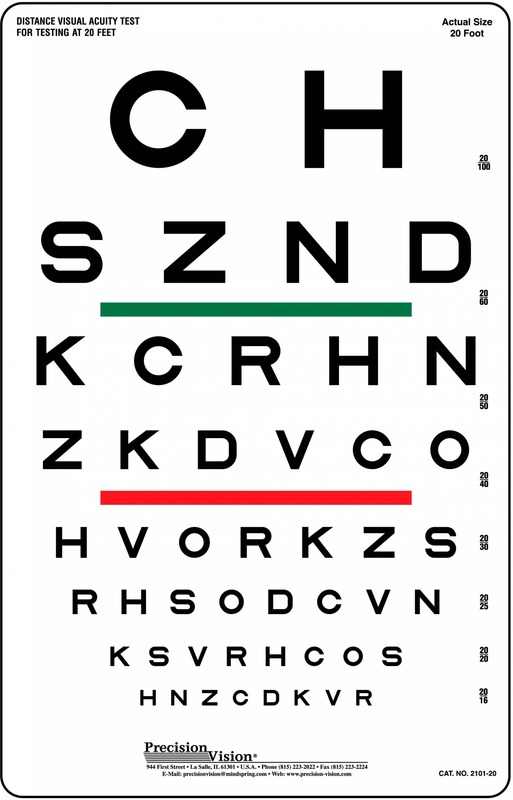 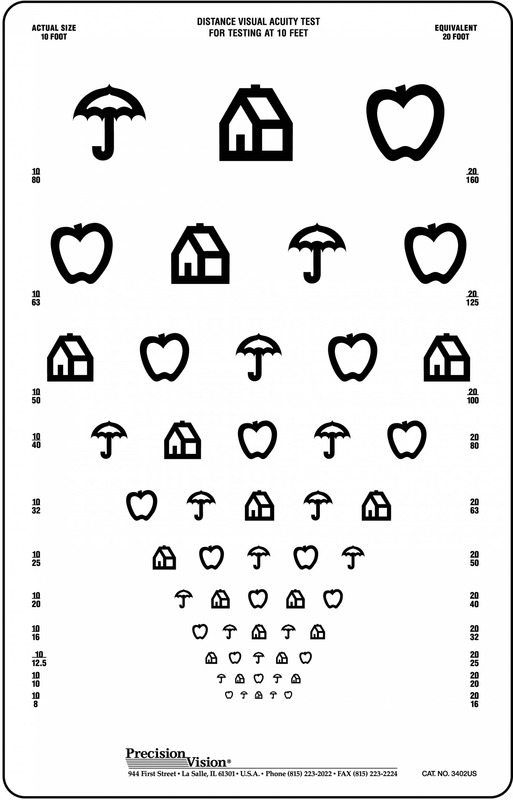 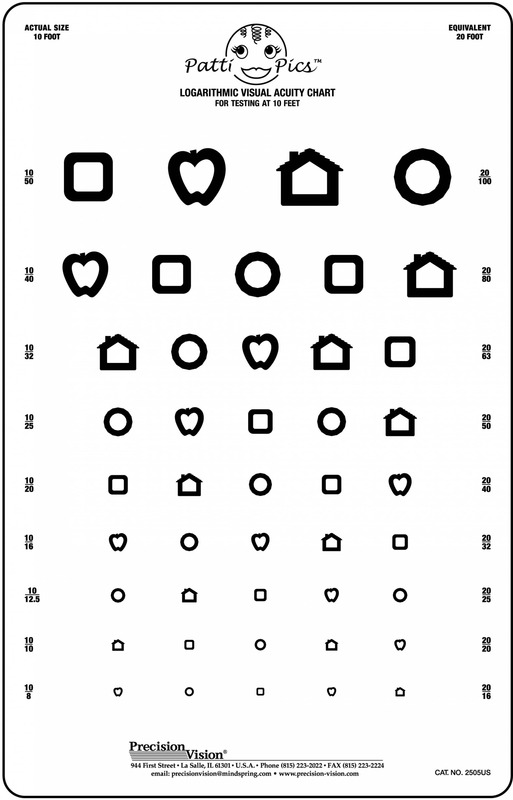 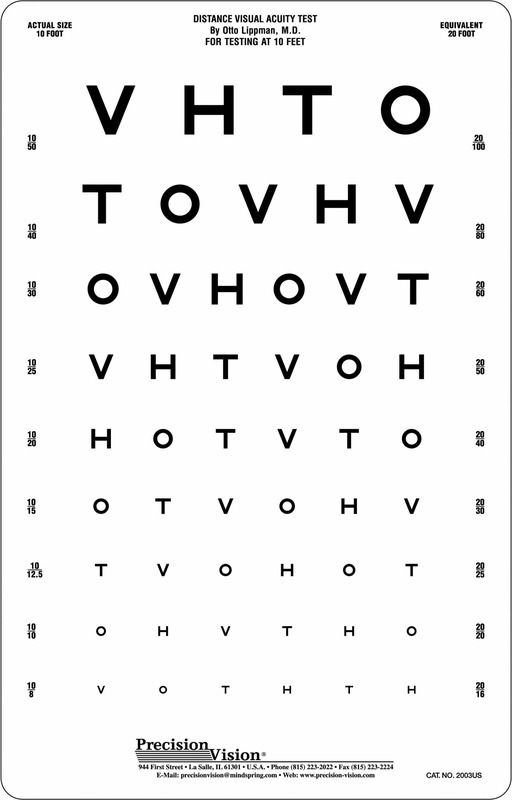 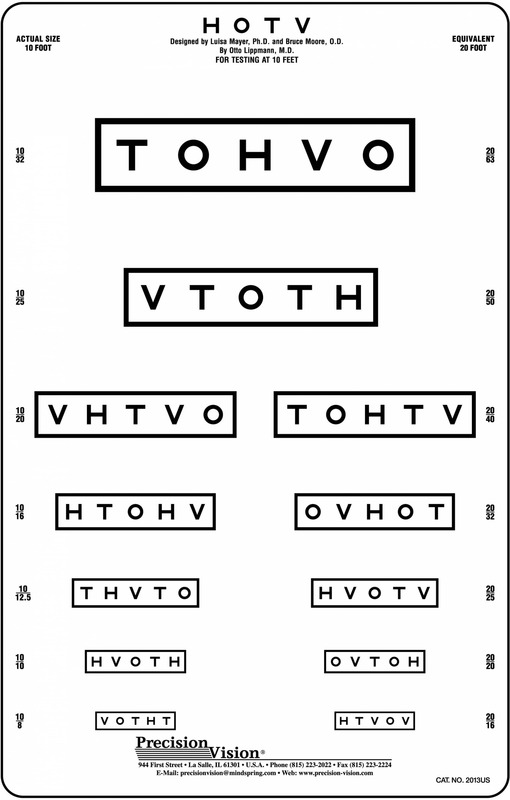 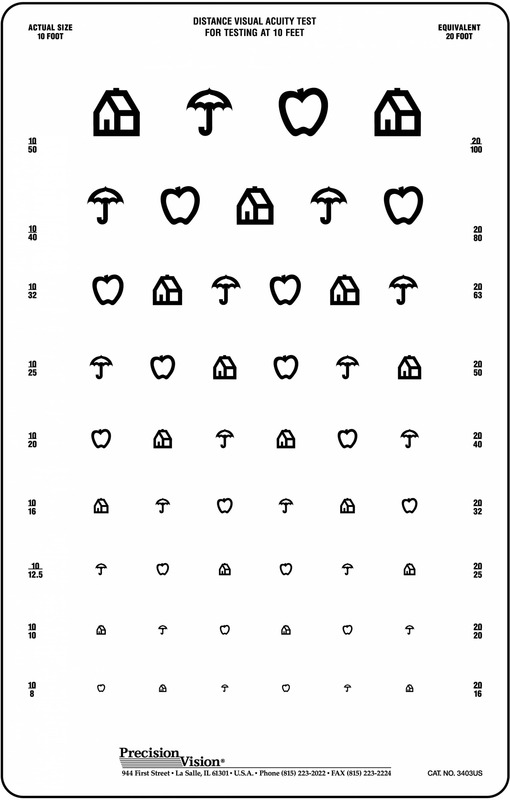 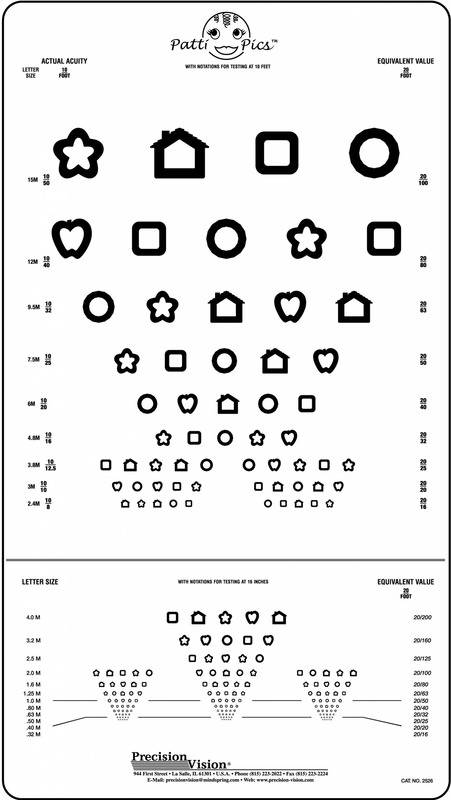 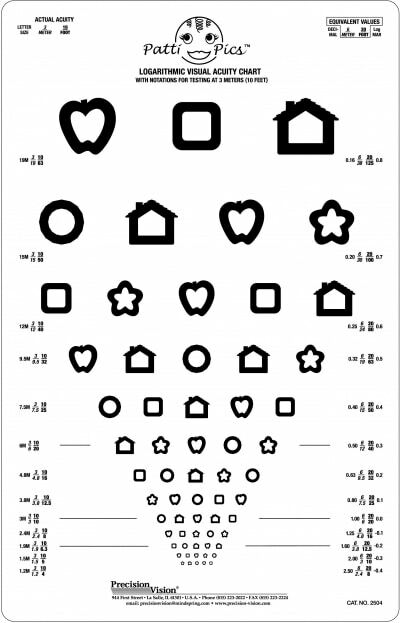 Visual acuity readings should not change appreciably when children are advanced from Patti Pics to a regular letter chart. 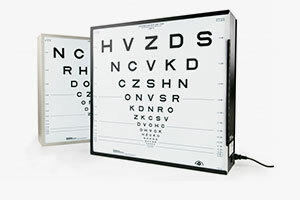 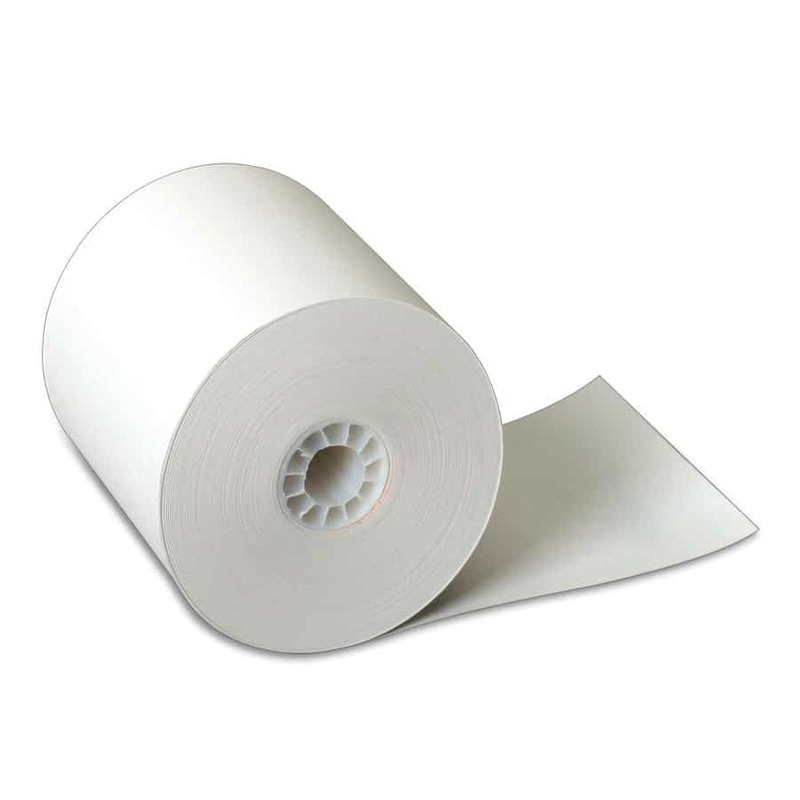 This calibration helps to lessen the mistaken loss or gain of lines. 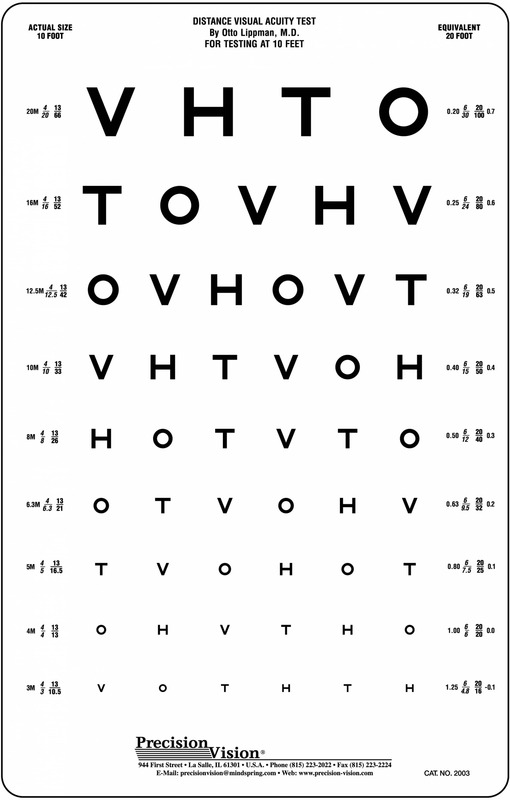 Did you Know that if a proportionally spaced chart is too difficult for your patients, try using a chart containing a MassVAT format. 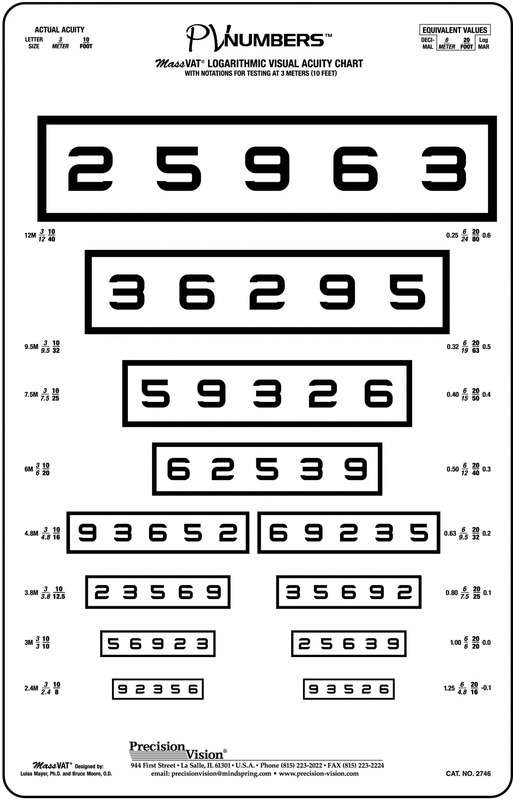 Testability using the MassVAT format in young children is high. 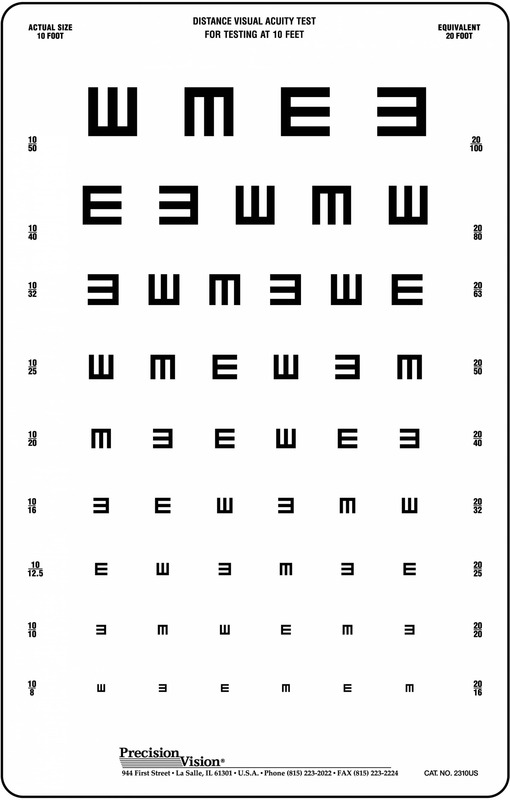 The rectangular outline surrounding the five optotypes is 50% of the width of the optotype. 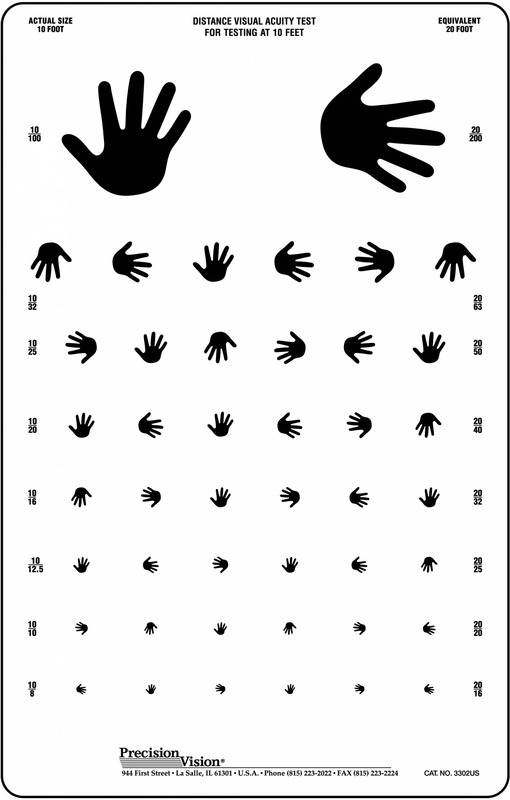 Thus, it provides adequate contour interaction to detect Amblyopia.